For years I used, with great success, the two earlier editions of this textbook with undergraduates, who appreciate its focus on their own experience and their desire to understand the Catholic faith. Doyle uses the documents of Vatican II in such a creative and intelligent way that, as a teacher, I have always felt confident that the book is the best introduction to the Church in contemporary society. I am grateful for this splendid updated edition, which integrates the papacy of Pope Francis and the continuing tensions within our pilgrim community. I welcome Dennis Doyle’s update of his excellent text on the nature and mission of the Catholic Church today. He is right, a lot has happened during the pontificates of Benedict and Francis. Hence, the update of the second edition of his book. I have used his books in some of my classes at the University of Southern California, and students consistently find Doyle’s explanations clear and engaging. Fr. James L. Heft, S.M. At more than fifty years since Vatican II, ecclesiology is still the key issue to understand Catholicism in the global world of today. I highly recommend Dennis Doyle’s book on the ecclesiology of Vatican II—especially for those who want to connect the conciliar teaching, Pope Francis, and the issues facing the Church. 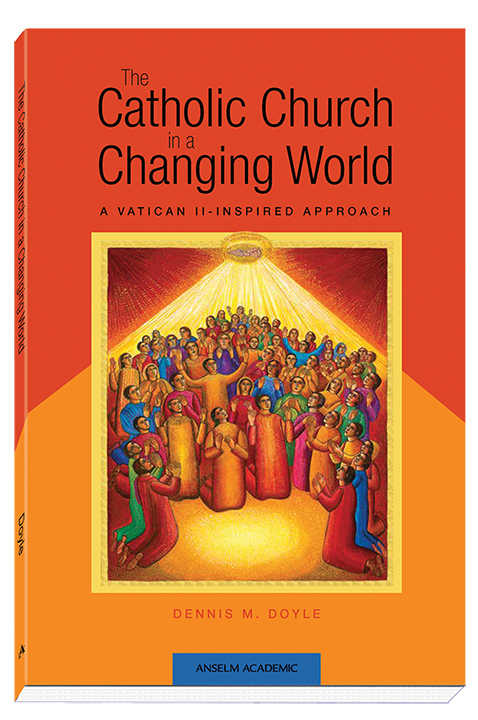 Dennis Doyle’s third edition of The Catholic Church in a Changing World: A Vatican II-Inspired Approach is a reflective study of Catholicism explained and Catholicism lived! The engaging anecdotal stories that begin each chapter connect the reader with the ever-evolving understanding and experience of Catholicism. Doyle taps into the rich heritage of the Church through the lens of the Second Vatican Council. Two indispensable documents of Vatican II, Lumen gentium and Gaudium et spes, provide the framework for examining the essential elements of the Tradition and the incredible impact the Council continues to have on the Church. 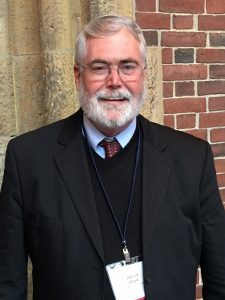 Raised before the Council and then schooled as a theologian in light of Vatican II, Doyle brings a unique perspective to his reading of the Tradition. It is at once apparent that Doyle views his task as not only an academic examination of the Church, but a walk in faith that connects belief with life. This book includes a “live look” at the issues of today and demonstrates how the Spirit continues to move in the life of the Church. Winsomely written, The Catholic Church in a Changing World analyzes contemporary Catholic teachings and practices in light of their historical roots. Accessible, accurate, and balanced, the book concentrates on what unites Catholics. Dennis Doyle presents the various positions on contemporary disputed questions clearly and fairly. Never presuming to resolve divisive issues, he shows what is at stake and leaves readers to reflect on their own responses. This book makes an excellent textbook for undergraduate courses in religion and for study groups. This new edition of Dennis Doyle’s The Catholic Church in a Changing World, the fruit of long classroom experience, reflects on every page his deep conviction that to be an informed Catholic today one must not only live the fruits of the council but connect, in some deep way, with the entire witness to the church in space and time. That conviction is set forth with clear writing, wide learning, and a great spirit of Christian generosity. A superb overview of the Catholic faith, presented with clarity, nuance, depth, and breadth. Highly readable and thoroughly engaging, this book is a must read for anyone who wants to better understand the Catholic tradition! This book encapsulates decades of Dennis Doyle’s devoted teaching and perceptive scholarship. The Catholic Church in a Changing World brings the Second Vatican Council to life for a new generation of college students, and under Doyle’s expert guidance, the council emerges as the ecclesial foundation for Catholics in the twenty-first century. The author weaves the council’s constitutions together with helpful summaries and interpretations of magisterial documents from Pope John Paul II and Pope Francis. Doyle’s classroom experiences enable him to articulate the questions today’s students have about the Catholic Church, and this book does not shy away from highlighting the difficulties and disagreements within the Church on various theological issues. Packed with helpful discussion questions and bibliographies, The Catholic Church in a Changing World exemplifies one of the best introductions to Catholicism available to students today. Dennis Doyle’s revised addition of The Catholic Church in a Changing World: A Vatican II-inspired Approach updates and enhances what has long been a valued guide to understanding Catholicism today. Marked bv clear writing, a balanced approach, and attention to real-life questions, The Catholic Church in a Changing World explores a variety of contemporary issues including authority, ecumenism, justice, ecology, and economics. Anyone seeking an introduction to the Catholic Church will find this book informative, accessible, and a source of rich discussion. Doyle’s volume demonstrates, once again, that the best books are often written by the best teachers who have refined their presentation after years in the classroom and pastoral settings. As someone who has long benefitted from using Doyle’s work with students, I am excited to make regular use of this new volume. Church, and religion more broadly, exist within the context of our life stories. That’s why this readable and engaging introduction to Catholicism deftly combines personal narrative with rich theology and current scholarship. Dennis Doyle’s The Catholic Church in a Changing World: A Vatican II Inspired Approach invites readers to consider their own beliefs while studying the contemporary teachings of the Catholic Church. Organized around two central documents of Vatican II, Lumen gentium and Gaudium et spes, the text presents contemporary theological and ecclesiological ideas with nuance, clarity, and fairness, especially regarding issues that might be polarizing. With short chapters, sidebars, recommendations for further reading, and an ecumenical and inclusive voice, The Catholic Church in a Changing World updates a proven and popular text to meet the needs of the modern classroom. Dennis Doyle is a professor in the religious studies department at the University of Dayton. He received his doctorate from the Catholic University of America.